All Seasons Preschool is an intergenerational nature-based preschool providing the opportunity for young children to participate in organized activities with seniors. 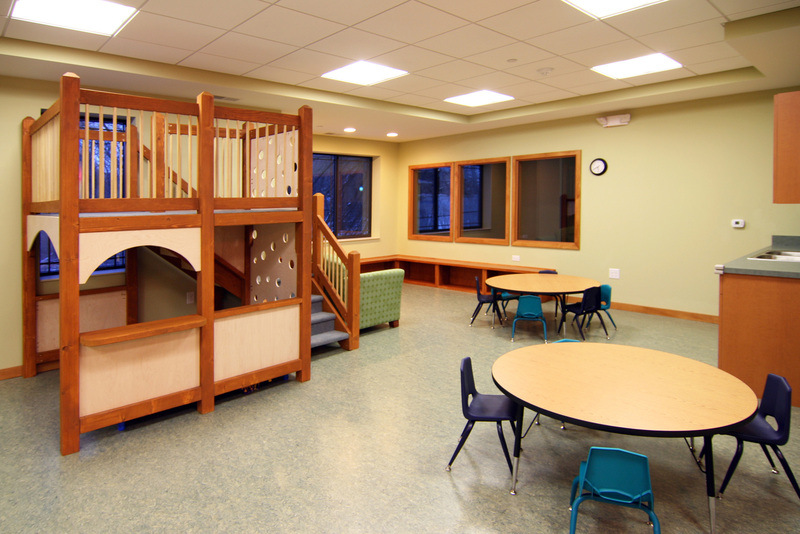 All Seasons Preschool occupies approximately 6,500 square-feet in the lower level of Inver Glen Senior Living. As the architects, we sought to create a space that would set the stage for an interest and affection for art and nature. 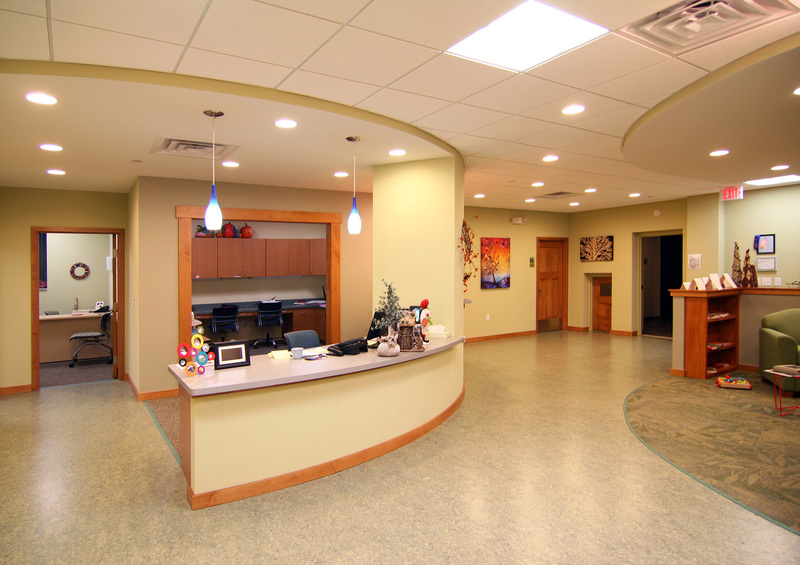 Just beyond the front door, the corridor to the preschool is lined with the kids’ artwork. 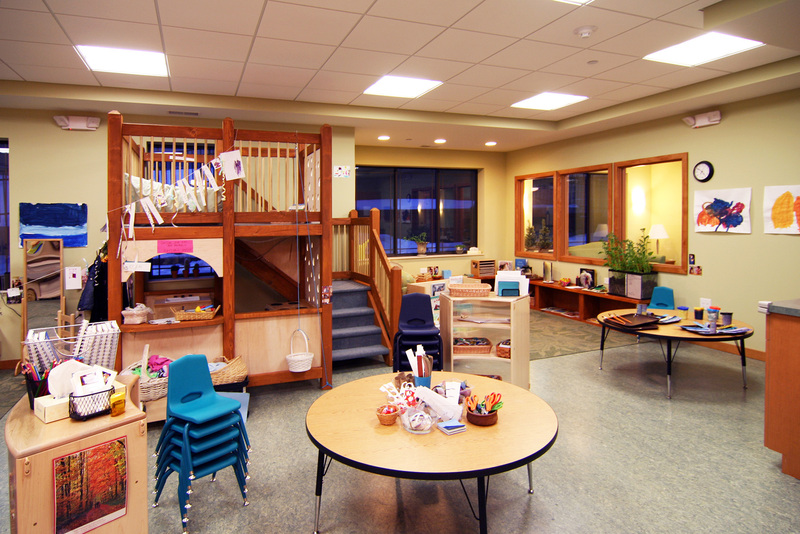 The classrooms, each with their own door to outside, are arranged around a central activity area. 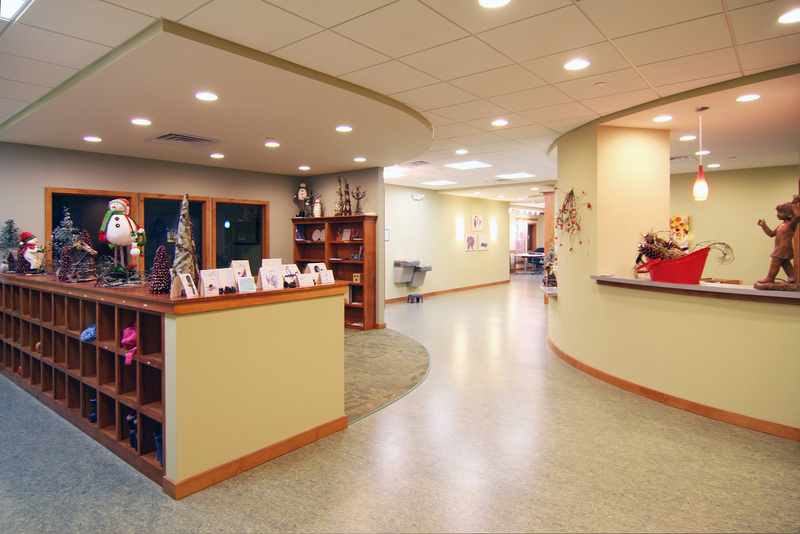 Natural daylighting and a natural, soothing color palette also contribute to the program’s environmental focus. 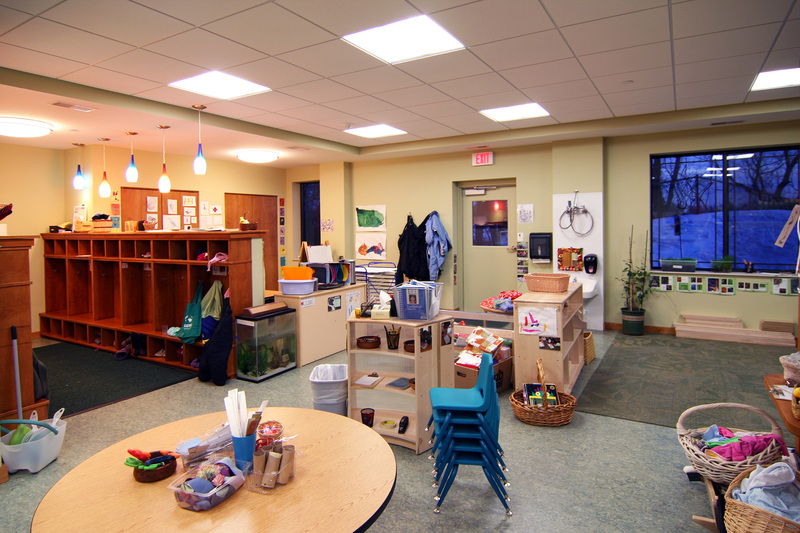 The preschool is LEED certified and uses durable, green building materials and finishes. Bathrooms, furniture, and casework were scaled to the size of a child. 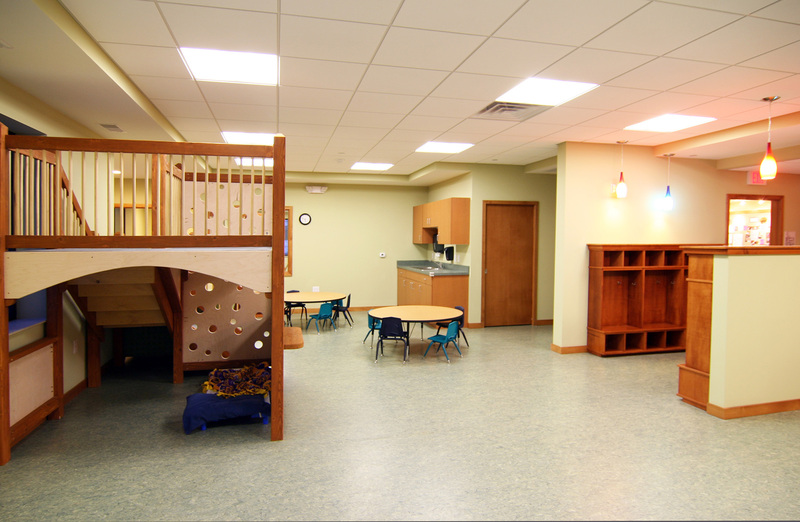 Our attention to these details translates not only to a well-functioning space, but reinforces the values of this unique preschool program.